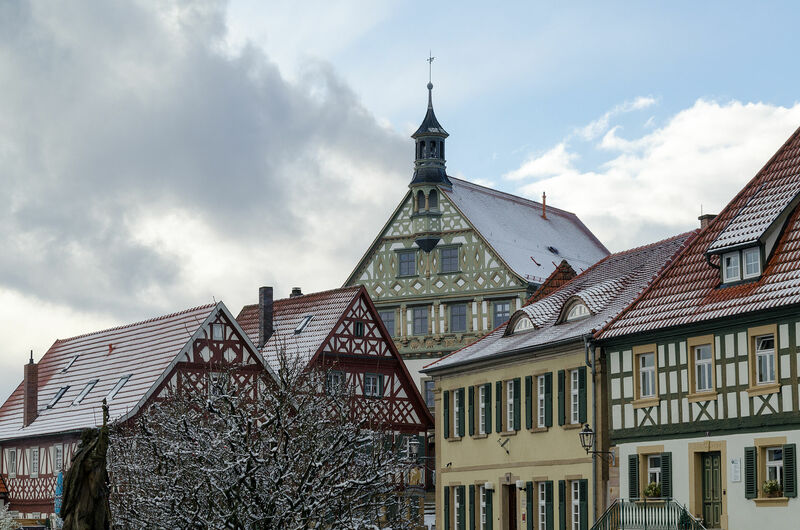 Before heading off to Volkach we make a little trip to Theres, a small community that has an interesting selection of buildings from the Baroque period. As this period covered 200 years of building history, the range of designs and decorations are quite remarkable. This can be seen mainly in the numerous churches and wayside shrines in the region. Because a lot of church properties were privatised in the early 19th century, many of them are now privately or commercially owned and operated. 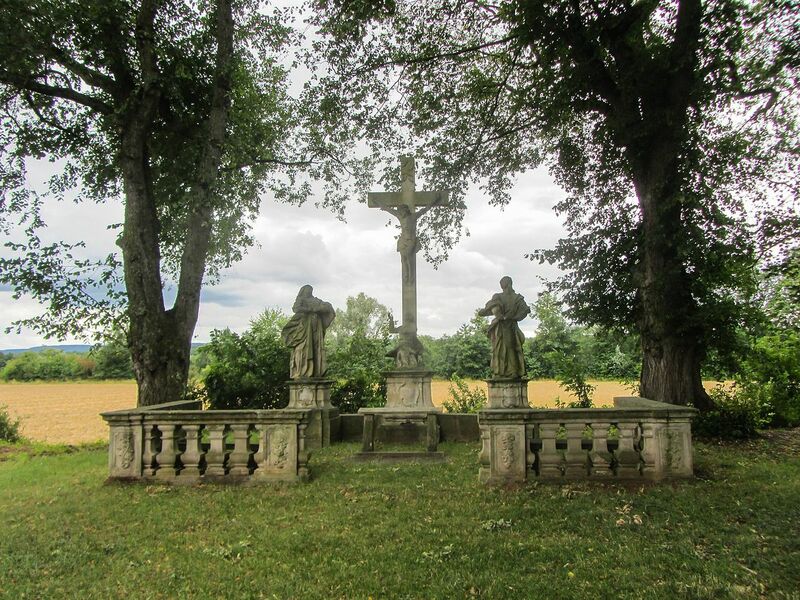 Interesting examples to view are on the main road (Bundesstrasse 17)) the Catholic vicarage from 1750, St. Killian church (1728/30) and along the cycle path the Crucification group attributed to Johann Peter Wagner. We are now moving into the driest and hottest wine growing region in Germany and will discover what kind of wines this climate can produce. Our trip will take us through the village of Fahr, home of the ‘world famous’ Bocksbeutel. 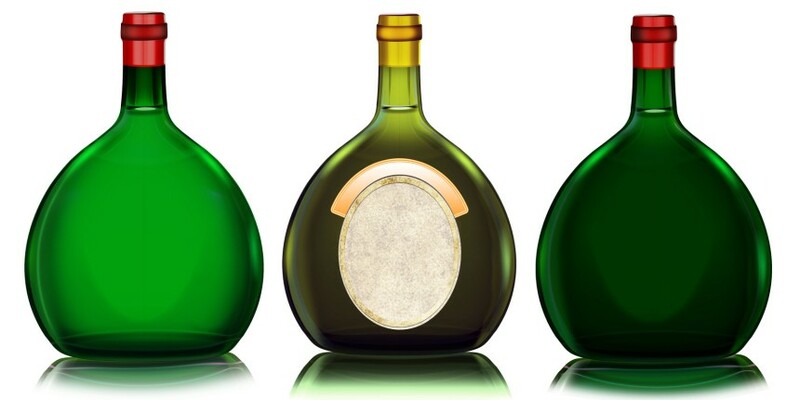 This intriguing bottle shape is protected in Europe and used for only a few specific wines. 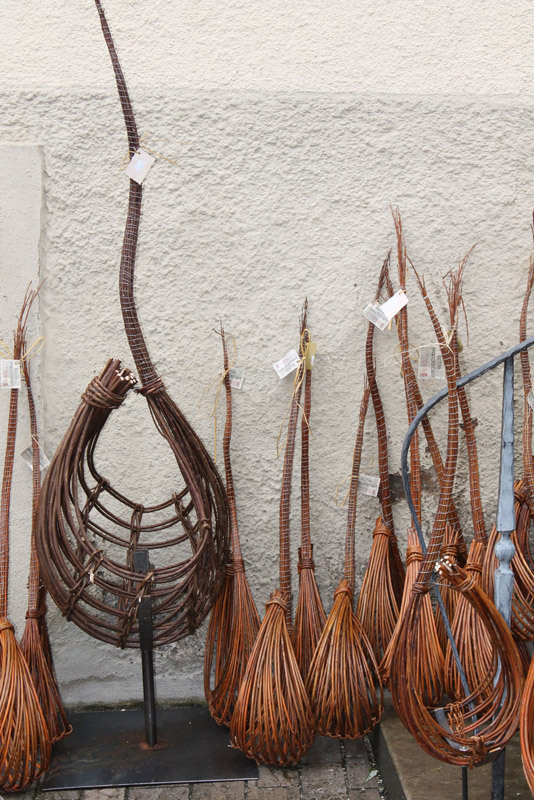 The name is of particular interest, as its origin can be referenced to two different words: one denominates a bag to protect prayer or song books (Booksbüdel) while the other implies that it looks like a ram’s scrotum (Bokesbudel). As both explanations can be reasonably proven, it seems that both contributed to its modern day usage. Our destination for today, Volkach, has been the historic wine growing centre of the region since the 17th century and has renewed its fame for making excellent white wines, especially, but not exclusively, Silvaner, whose reputation suffered a bit from the Liebfrauenmilch debacle in the 70’s. Modern wine makers now are using its subtle flavours to produce elegant wines that are easily matched with foods and becoming more and more appreciated. Other varieties that grow well here are Müller-Thurgau, Riesling and Traminer, all very specific and interesting tasting grapes. And for those of you who want to know more specific details about the huge range of wines and grapes here’s a very interesting and informative web site. 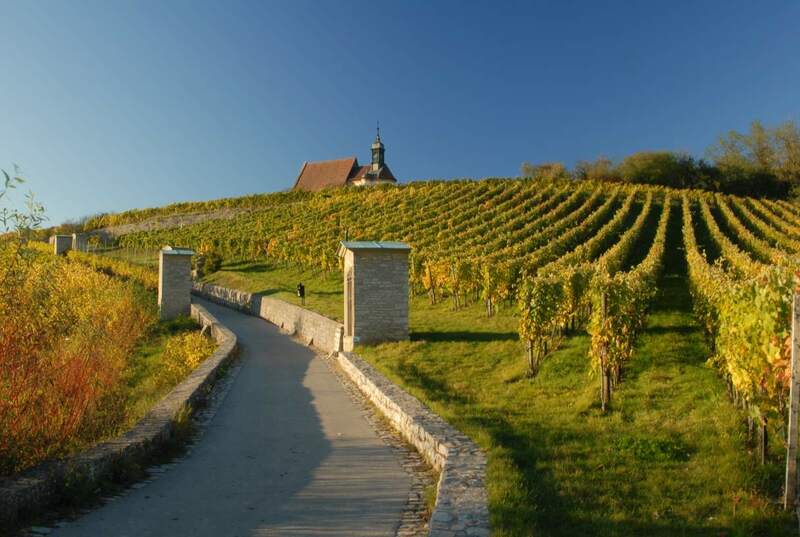 Even in the Middle Ages Volklach has been a very popular tourist spot due to its numerous food markets, parish fairs and pilgrimages to the local church Maria in the vineyard. This has continued through to the 20th and 21st century with a lot of local wine and food festivals catching the visitors’ eyes and palates. 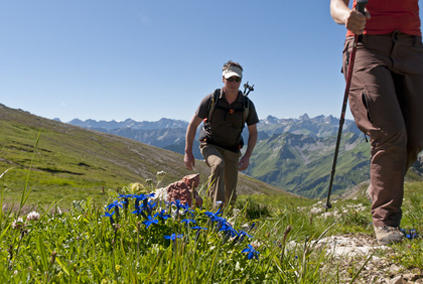 Let your travel guide advise you what’s on special and enjoy the delicacies. 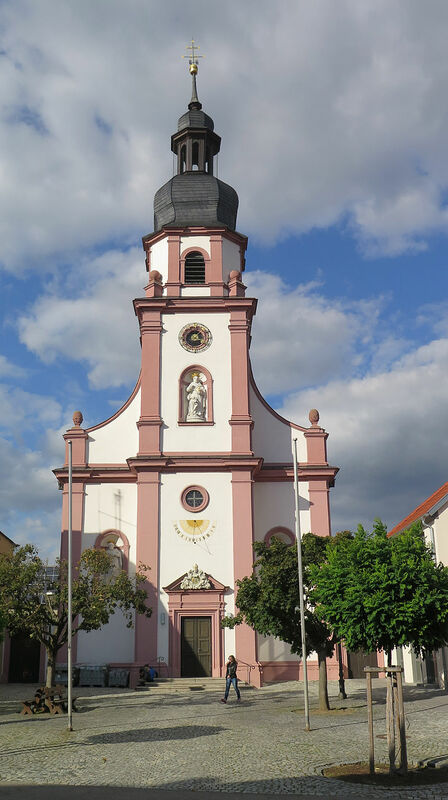 On our way to our next stop Haßfurt we come to the pilgrimage church Maria Limbach. 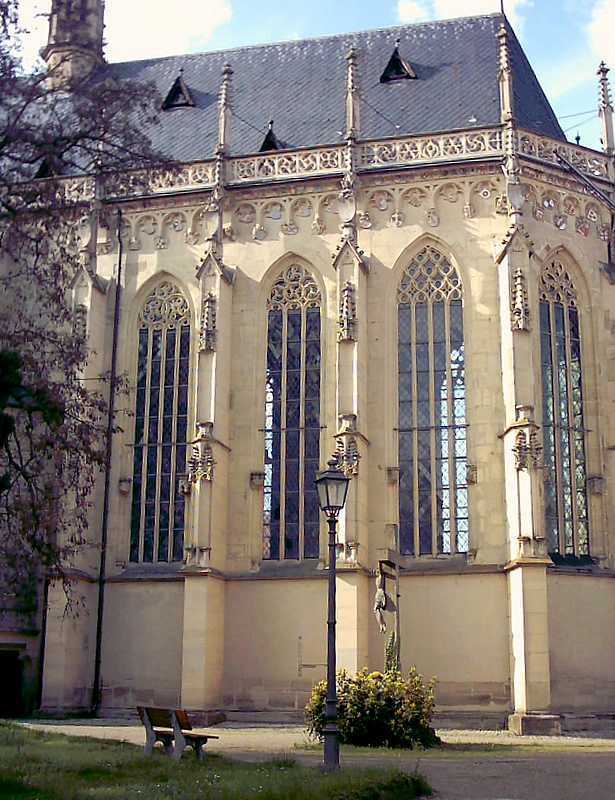 The church was built in fulfilment of vows made by the Archbishop of Würzburg after the miraculous curing of his hip complaint. He had bequeathed a substantial amount of money and even though he died before construction had started, it was completed and consecrated nine years after his death. 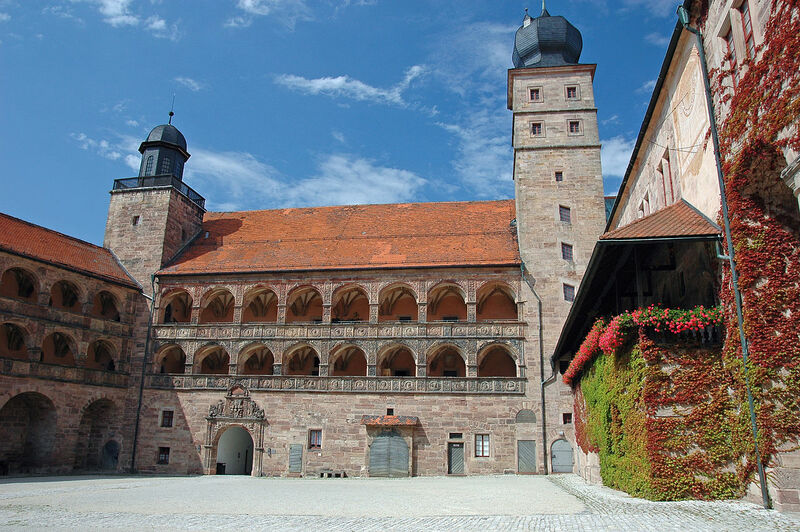 The church was designed by Johann Balthasar Neumann – one of the most important architects in southern Germany during the Baroque and Rococo period – whose most famous work you will get to see at the end of the tour: The Würzburg Residence. 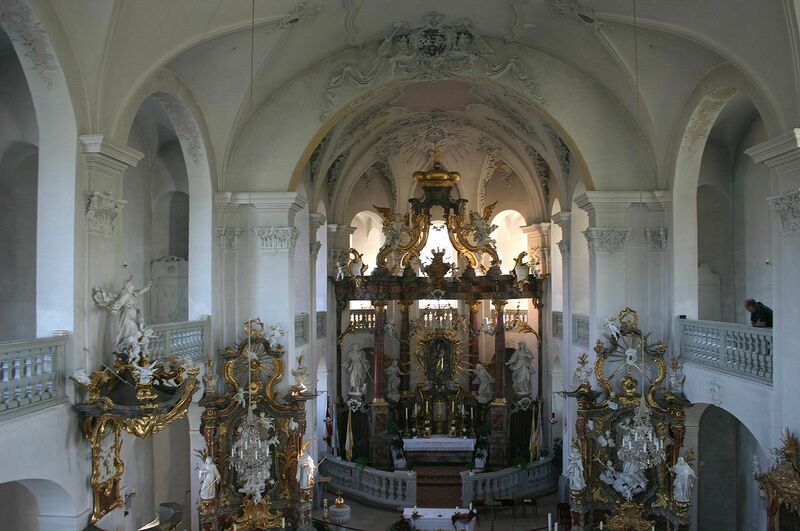 The pilgrimage church was designed in a late- Baroque or Rococo style which is mainly characterized by asymmetric designs and lighter, more playful decorations. The simple room structure of the church is contrasted by the rich and ornate interior design of the rococo stucco designs by Andreas Lunz. This juxtapositioning of architectural design elements was intended to draw more people back to the church and not alienate them through a display of feudal opulence. The town has been on records since the 13th century when it was given city rights. Having been part of the Churches’ estates, you will find a lot of churches in and around town and other buildings ranging in style from Romanesque city fortifications to Gothic churches and Renaissance private residences. 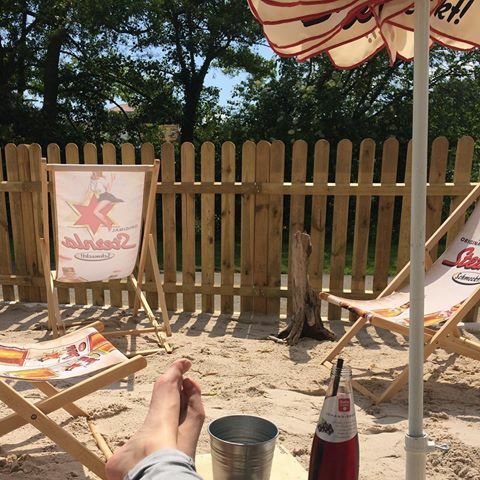 The road toward today’s destination is lined with vineyards and after discovering some of the sights in Haßfurt you will be able to sample some of the regions produce. 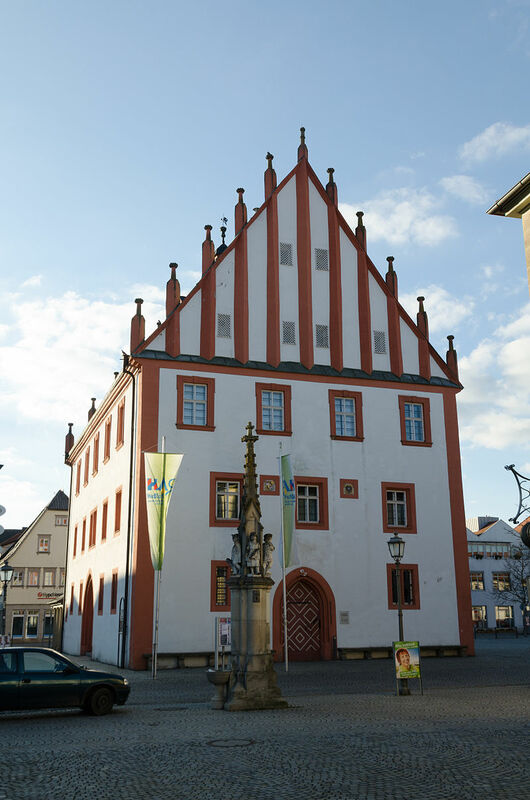 The city of Bayreuth is a conglomeration of villages that attained city status in the early 13th century. 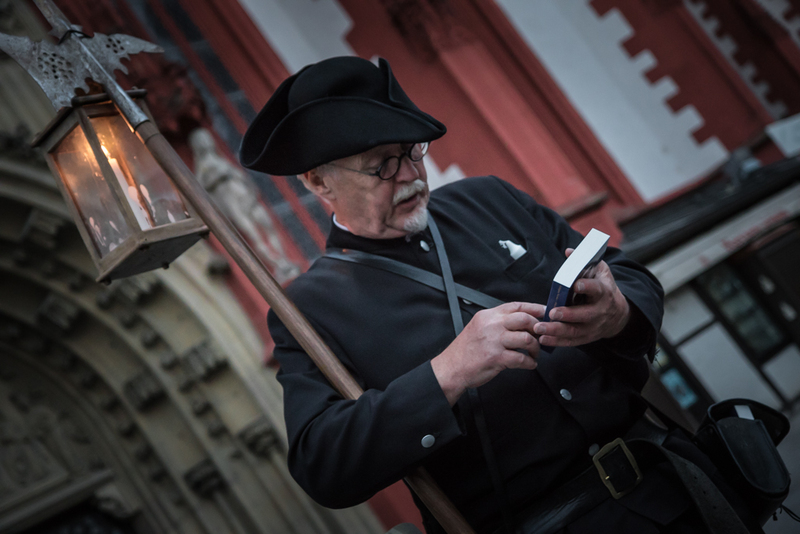 The following centuries proved to be hard times, as the city was struck by disasters repeatedly, be it fires destroying parts of the town or the plague decimating the populace. This all turned for better at the beginning of the 17th century when Margrave Christian moved to Bayreuth in 1603. He initiated a building boom which continued until the end of the 18th century, when due to lack of successors and money, the last margrave abdicated and the territories became part of the Prussian empire on 2.12.1791. 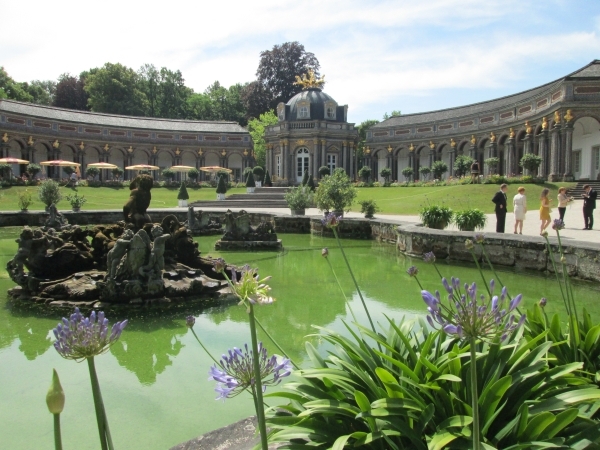 During its heyday under the rule of Margrave Frederick and Margravine Wilhelmina of Bayreuth (1735 – 1763) richly furnished private and public buildings were constructed in the baroque style. 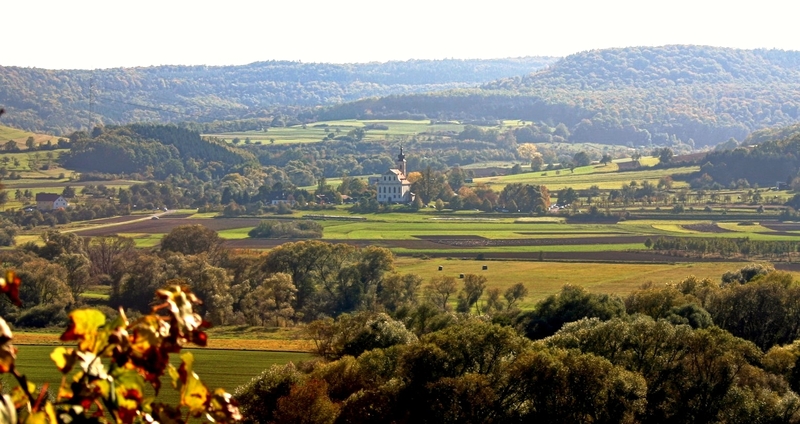 After its French occupation from 1806 – 1810 (result of a loss during the Napoleonic Wars), the principality was returned and became part of the Kingdom of Bavaria. As Bavaria was being opened up by connecting more and more towns to the railways, Bayreuth was on the main line between Nuremberg to Hof. More connections meant an increase in visitors and exposure. 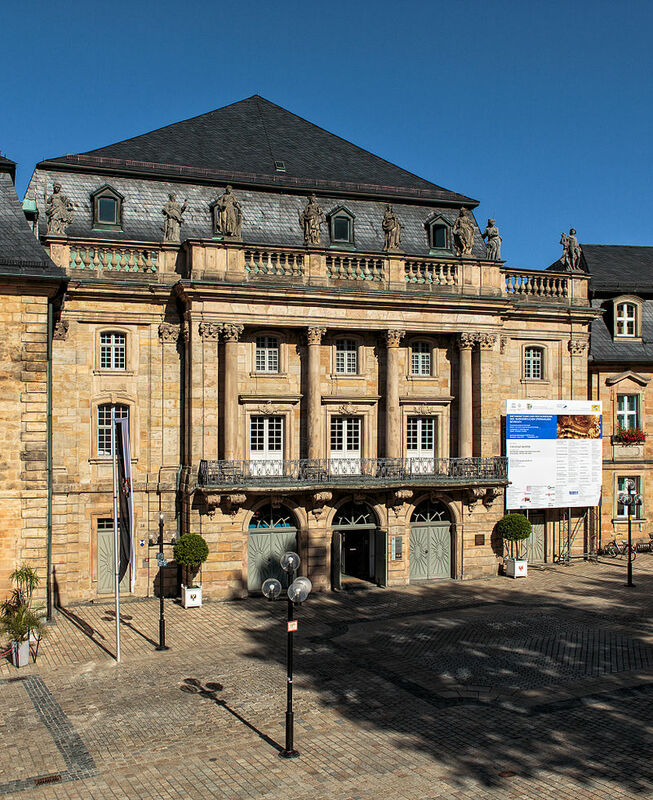 In due course Wagner heard about the Margrave Opera House – a UNESCO World Heritage List building – and came to inspect its suitability for his operas. He was disappointed and decided to build his own. The town supported him and he went on to create a world renowned festival. He would have been very pleased with himself if he knew that nowadays one has to get in line about 10 years in advance to secure a ticket to the highly coveted festival! 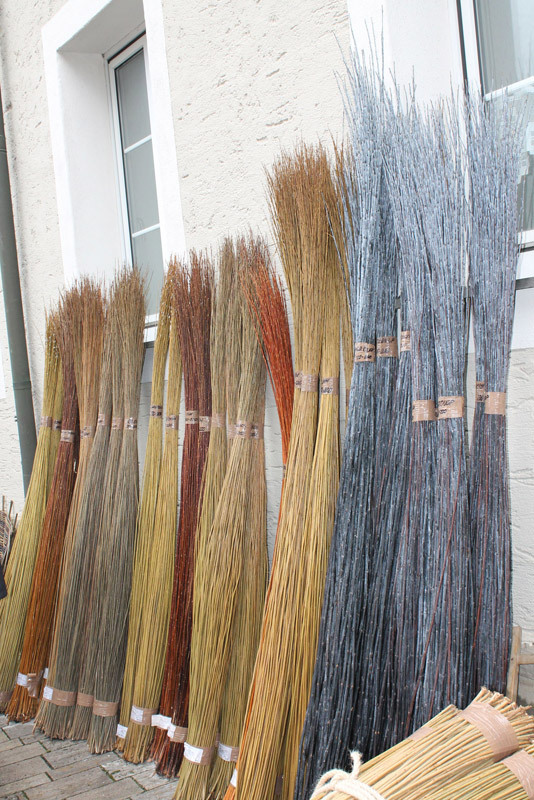 Even though Bayreuth is infamous for the Wagner festival, it has lots of other attractions for a visitor. Architecture for starters: despite having lost a third of its buildings in WWII the rest is kept in pristine shape to be admired during your guided tour. Baroque architecture was a manifestation of political absolutism and colonialism, putting the monarchs/popes/regents at the centre of attention. It created magnificent structures to glorify the rulers and demonstrate new found wealth and power. The success of the Wagner festival has created a market for other cultural festivals celebrating modern, folk, other classical music, theatre and museum activities throughout the year. 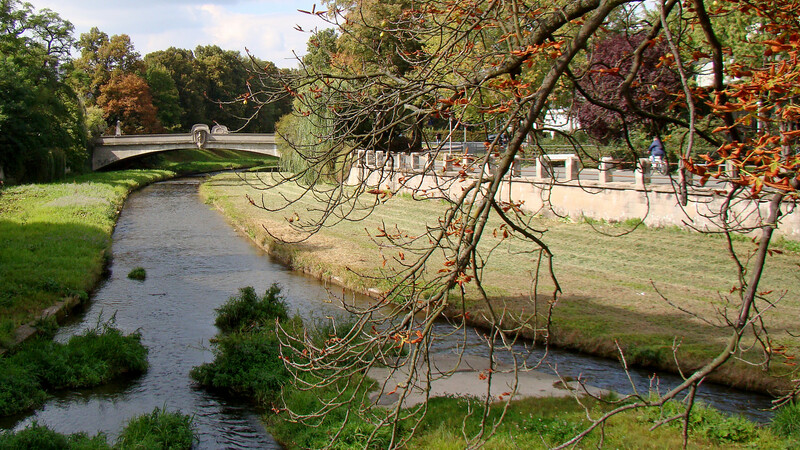 Not to mention that due to its level topography and generous cycle lanes, it is particularly easy to explore the city and the surrounding landscapes along the Red Main river. The river gets its name from the fact that it runs through clayey soil and turns a reddish-brownish colour after heavy rains.